Late registration begins on the first day of instruction, at 7 am on Thursday, January 22, and ends at 11:59 pm on Tuesday, February 10. 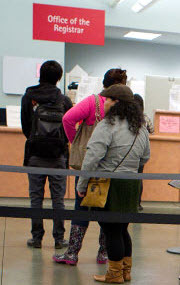 Students may register via MySJSU during this time. If you have any questions, please contact the Office of the Registrar at 408-924-5680 or registrar@sjsu.edu. San José State campus with Tower Hall in the foreground and Campus Village in the background. Late registration begins on the first day of instruction, at 7 am on Monday August 25, and ends at 11:59 pm on Friday, September 12. 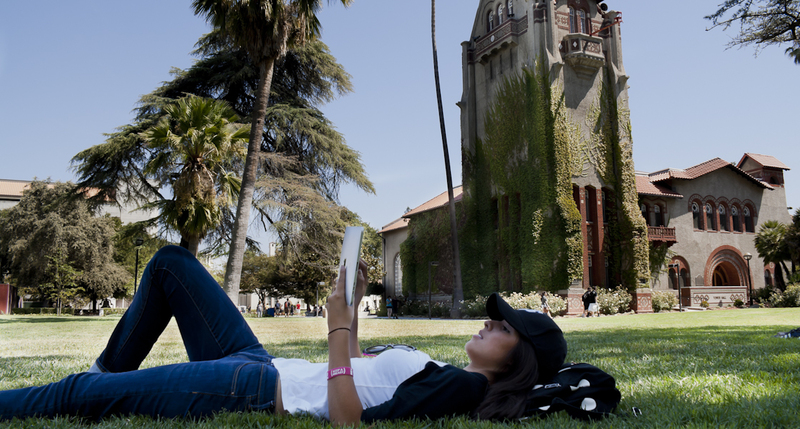 Students may register via MySJSU during this time. Late Registration will start at 7 am on Wednesday, January 23 and will end at 11:59 pm on Monday, February 11. The last day to drop without a ‘W’ grade is Monday, February 4. The last day to add is Monday, February 11. For instructions on how to register, add classes and/or drop classes, view Tutorials for Students. For more details, see the Registration Calendar. 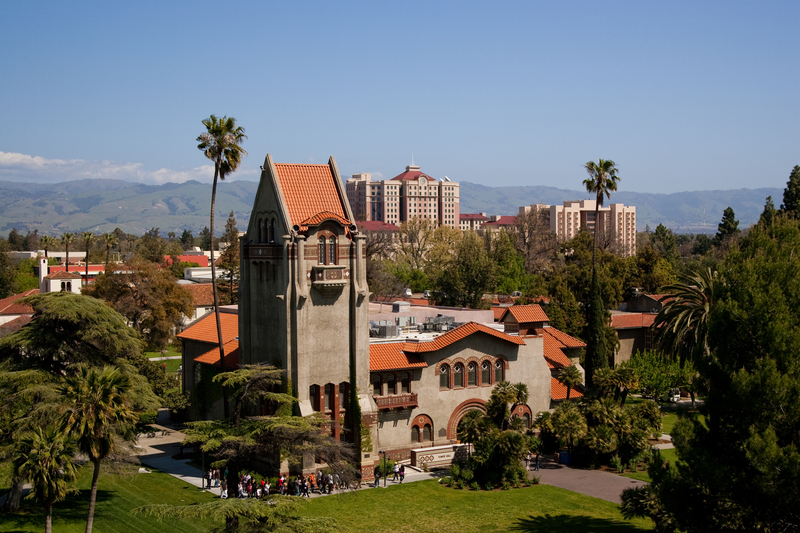 If you have any questions, contact the Office of the Registrar at 408-924-5680 or registrar@sjsu.edu. Late Registration for Fall 2012 began at 7 am on Wednesday, August 22 and will end at 11:59 pm on Tuesday, September 11. The last day to drop without a ‘W’ grade is Tuesday, September 4. Dropping after this deadline will require a Petition for Course Drop which will be available from Academic Advising & Retention Services at Petitions. The last day to add a class is Tuesday, September 11. Adding after this deadline will require a Late Enrollment Petition which will be available from the Office of the Registrar at Academic Forms. For more details, see the Fall ’12 Registration Calendar. If you have any questions, contact Academic Advising & Retention Services or the Office of the Registrar, as appropriate. Advance Registration will be closed at 11:59 pm on Sunday, August 12. No Registration activities will be allowed from Monday, August 13 through Tuesday, August 21. Aug 10: If you need assistance from the Registrar’s staff, please come to window ‘R’ at Student Services Center (SSC) no later than 4:30 pm on Friday, August 10. 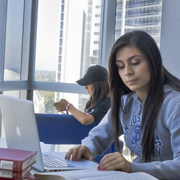 Aug 22: Late registration will open in MySJSU at 7 am on Wednesday, August 22 (the first day of instruction) and registration will close at 11:59 pm on September 11. Sept 4: The last day to drop without a ‘W’ grade is Tuesday, September 4. Sept 11: The last day to add a class is Tuesday, September 11. For further details please visit the Office of the Registrar’s Fall 2012 Registration Calendar.